Many Royal Air Force stations organise "Families Days" to say thank you to the staff and families of all personnel based at their respective stations for their support. 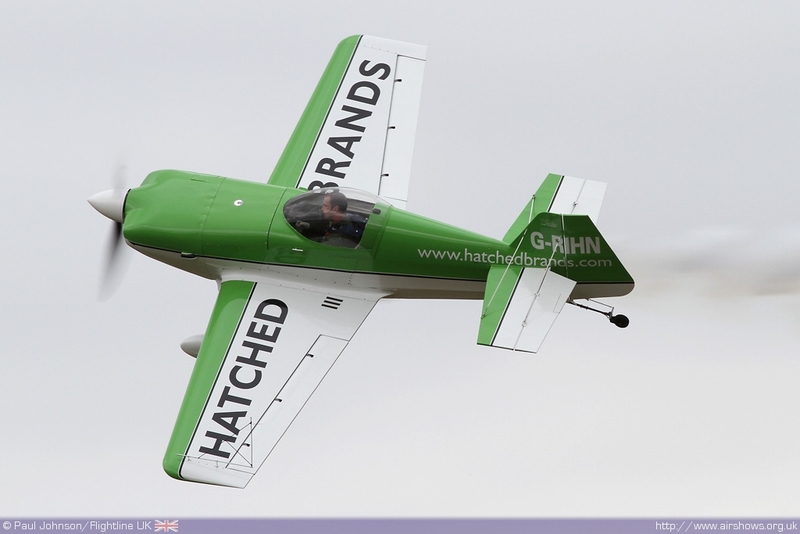 These days are mainly organised during the summer months and those that can often support small flying displays. 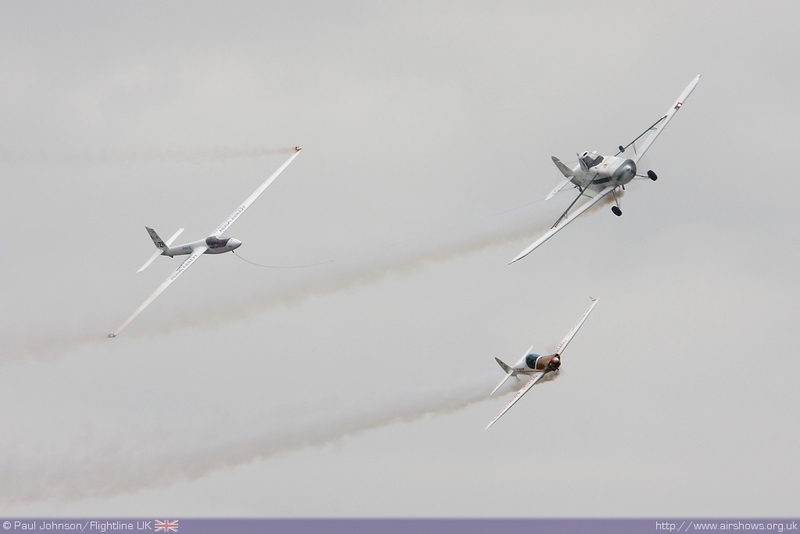 During late July, the RAF Henlow, RAF Brampton and RAF Wyton group of stations held their events. The big grass airfield at RAF Henlow held it's Families Day first on the 21st July 2010 while the combined RAF Wyton & Brampton event was held at Wyton on Friday 23rd July taking advantage of aircaft attending the RAF Wittering Families Day and those heading north for the Sunderland International Airshow. 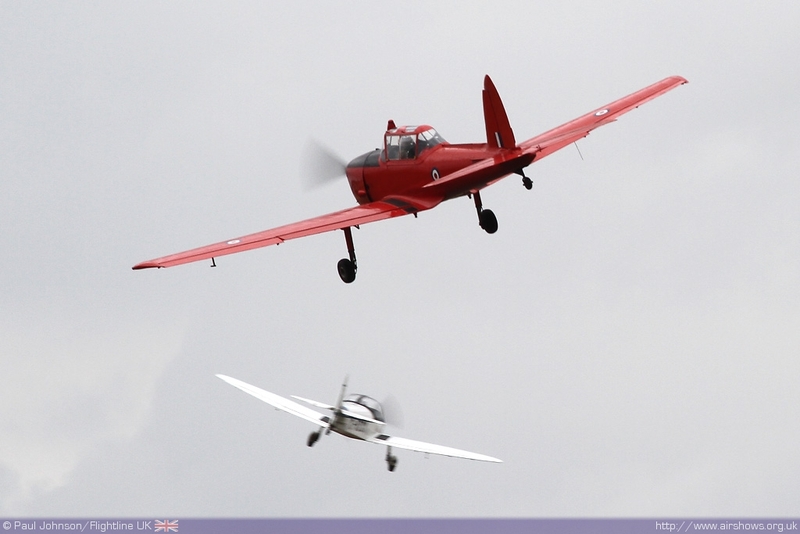 Military aviation at Wyton goes right back to 1912 where the area was used for flying training. 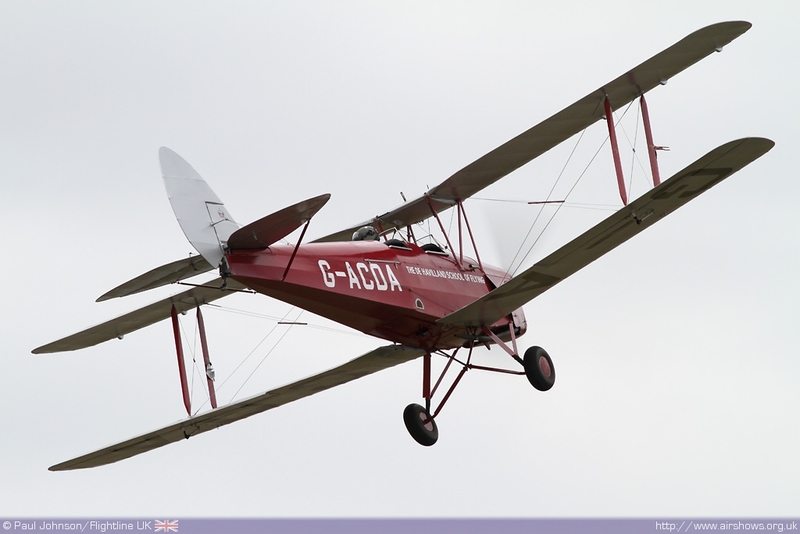 That role continued in 1918 when Wyton came into the care of the Royal Air Force where it trained personnel for overseas deployments. 1937 saw the RAF's first Bristol Blenheim squadron formed at Wyton and its marked Empire Day that year with a major air display. Perhaps Wyton's most notable achievements occurred during the Second World War. 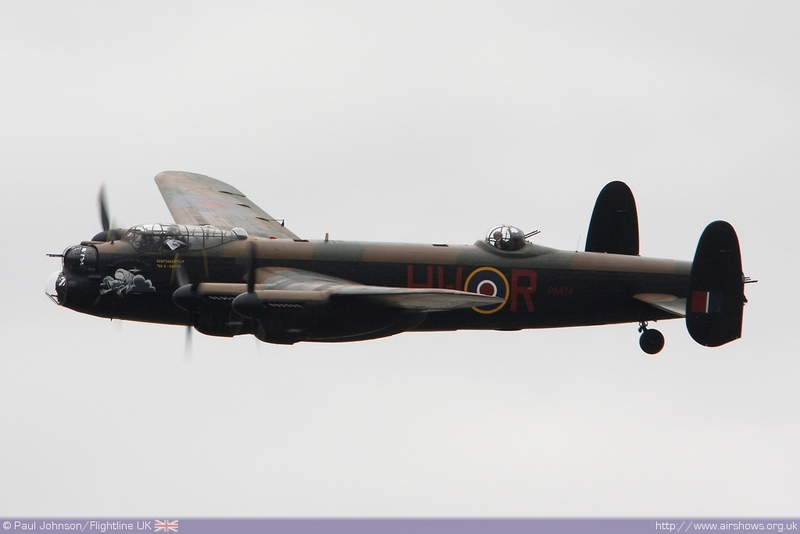 The first RAF sortie of the war took place at Wyton and the first aircraft that participated in the 1000 bomber raids were from Wyton. 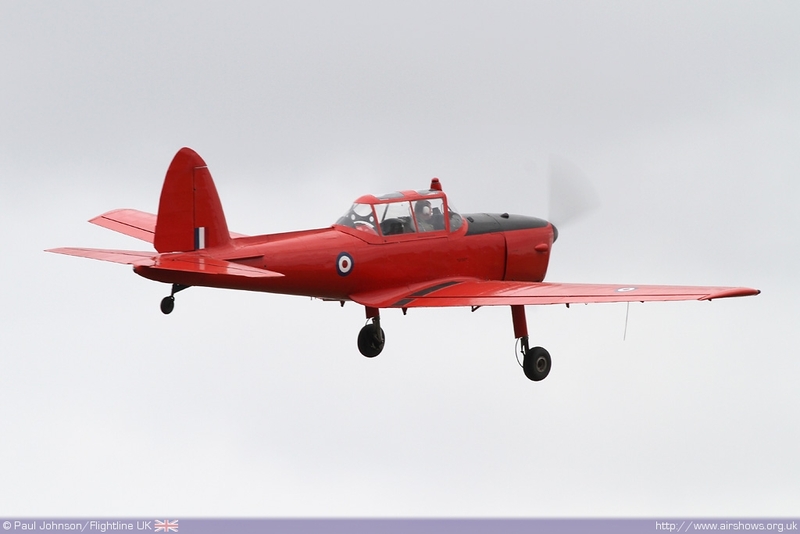 But perhaps Wyton's most famous role during the Second World War was as a base for the RAF's 'Pathfinder' force. The Pathfinder Force was created on August 15th 1942 and was composed of units stationed at Oakington, Graveley, Wyton and Warboys. Wyton was situated in the middle of the stations and was chosen to be the headquarters. The role of the Pathfinder Force was to find and mark targets as best they could..
Post-war, Wyton served as a transit base for United States Air Force B-50 bomber force before eventually becoming a base for the RAF's Canberra Photographic reconnaissance force. 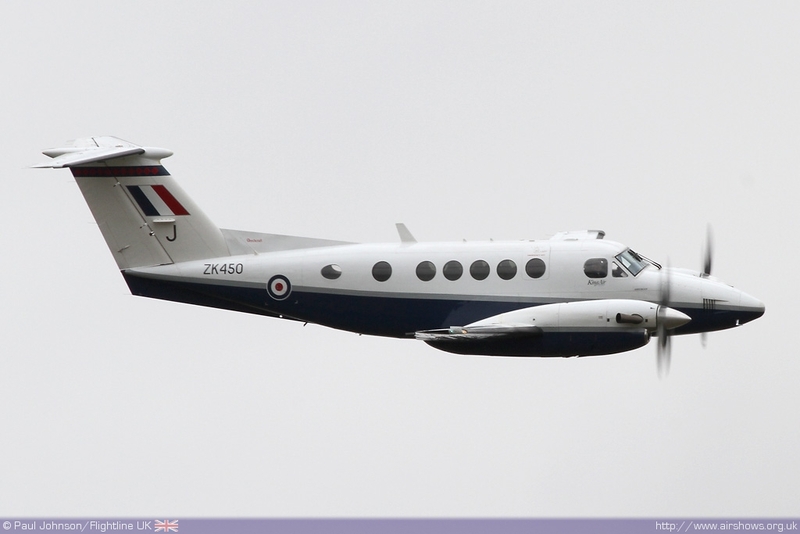 Wyton has also been home to the RAF secretive Nimrod R1. 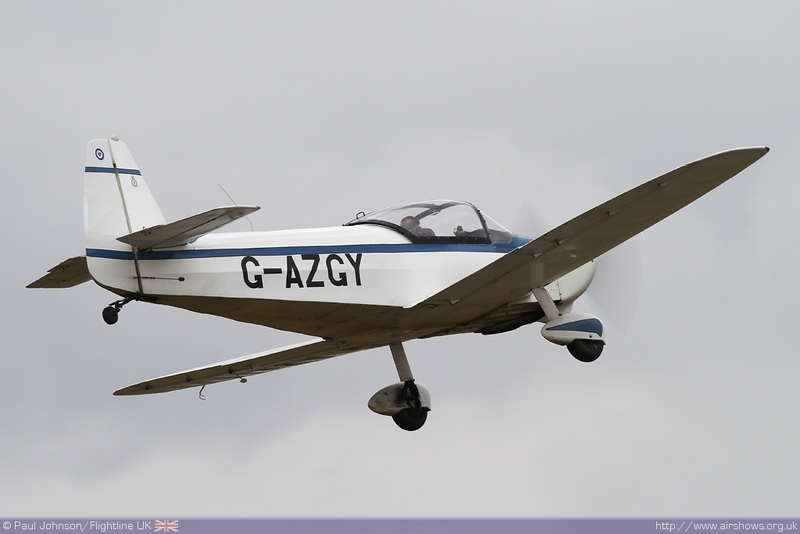 The Camberras left in November 1993 which saw Wyton revert to its training role and it became the first RAF training base to receieve the Grob Tutor T1 aircraft. 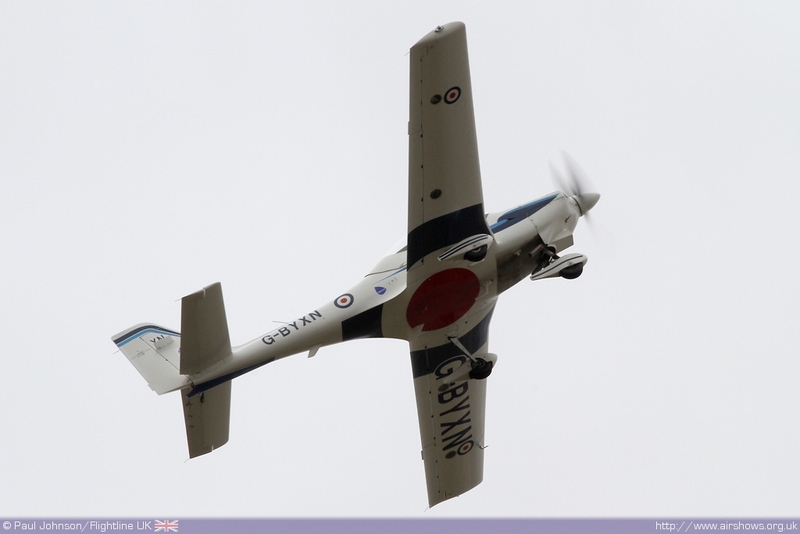 Today, Wyton is home to No 57(R) Squadron which forms part of No 1 Elementary Flying Training School at RAF Cranwell. 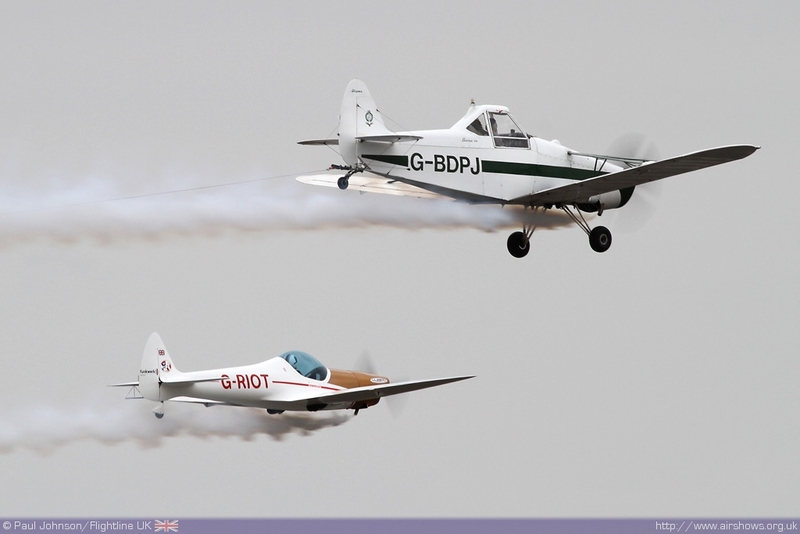 Alongside No 57(R) are the Universite of London and Cambridge University Air Squadrons, both flying the Tutor. 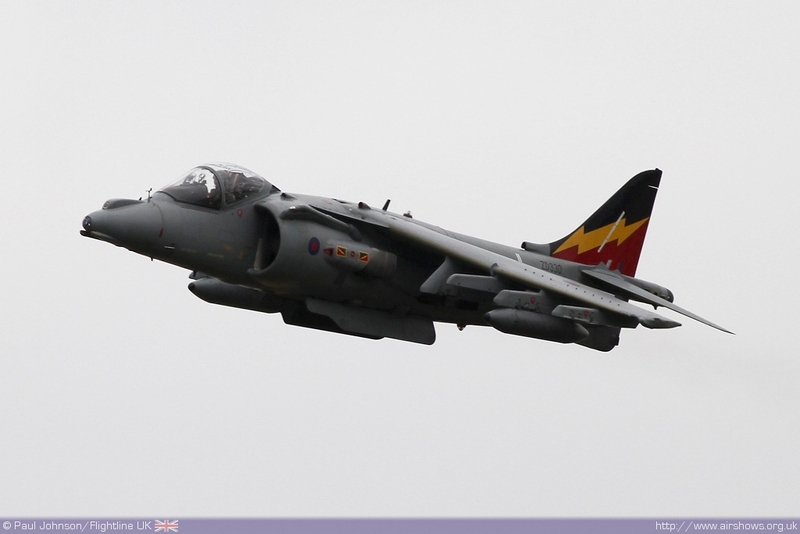 Wyton is also home to the Defence Equipment & Support (DE&S) which occupies a substantial amount of accommodation at the airfield. 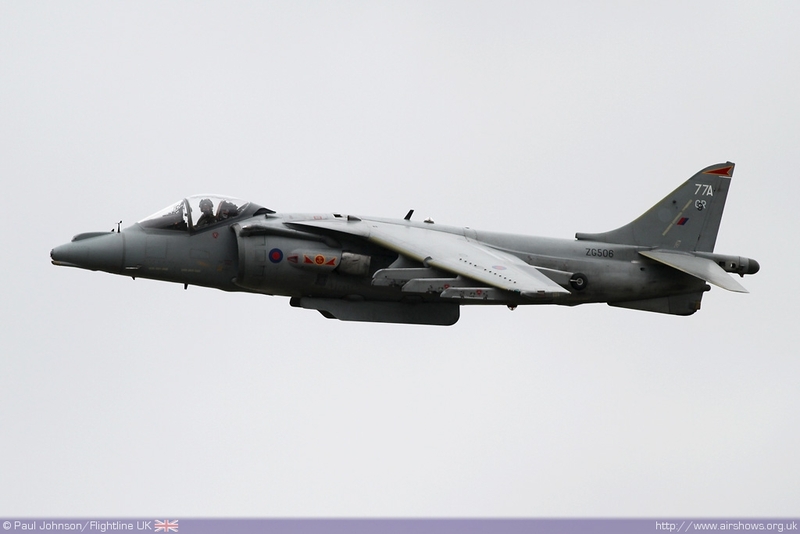 The Families Day at Wyton was based around the area between the Control Tower and hangars which house the Tutors. 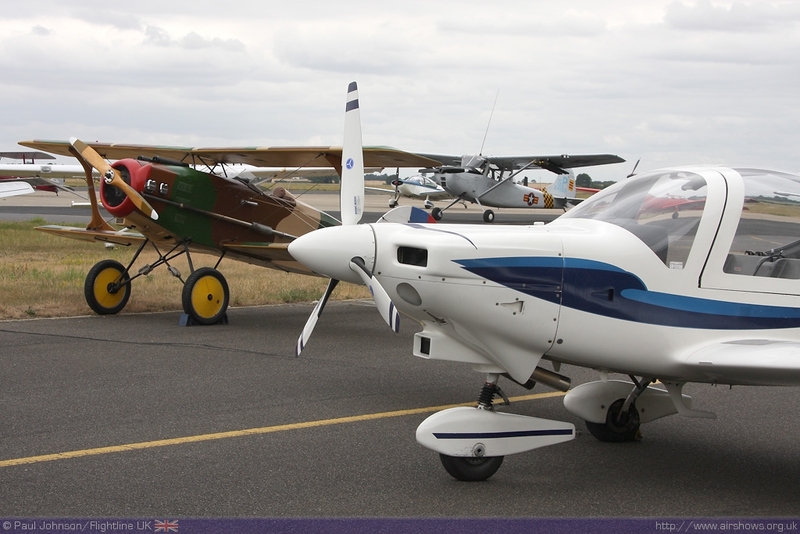 There was ther usual gathering of stalls, classic cars as well as a few fly-in participants. 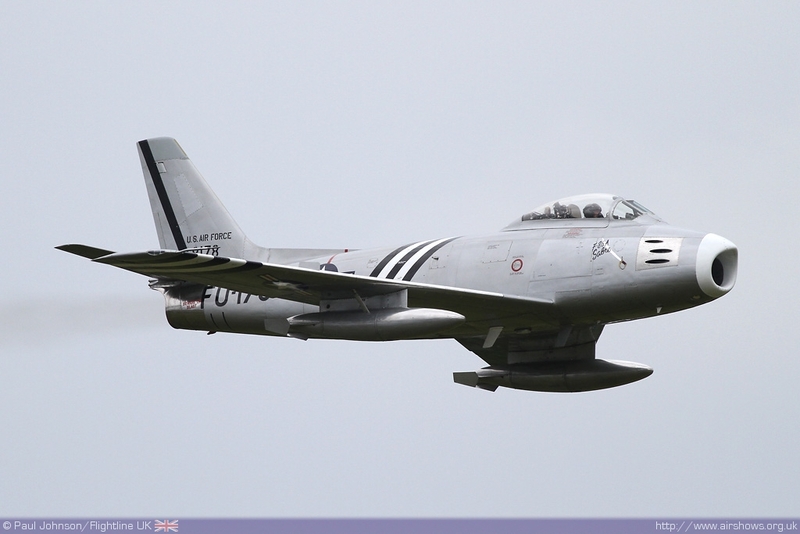 An early display came from Mark Linney flying the Duxford based F-86A Sabre to RAF Wittering for their families day. 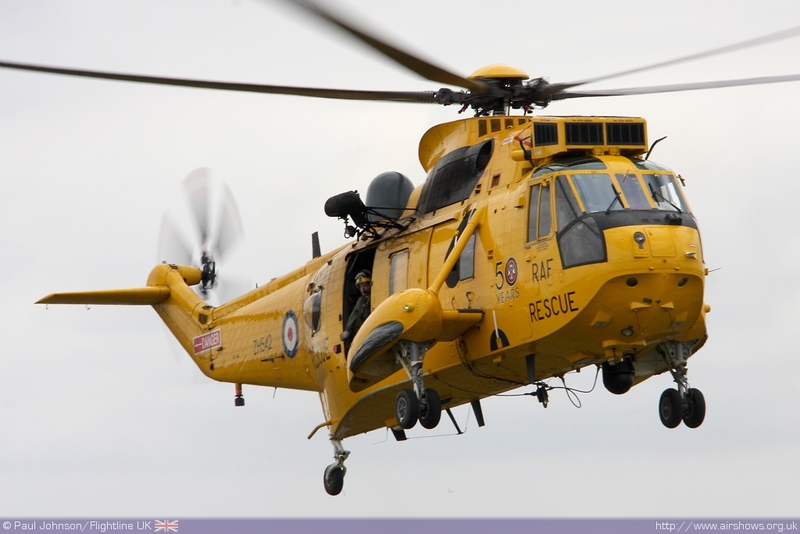 Apart from the Tutors, there was just one othee RAF on the ground, a Westland Sea King HAR3A from nearby RAF Wattisham. 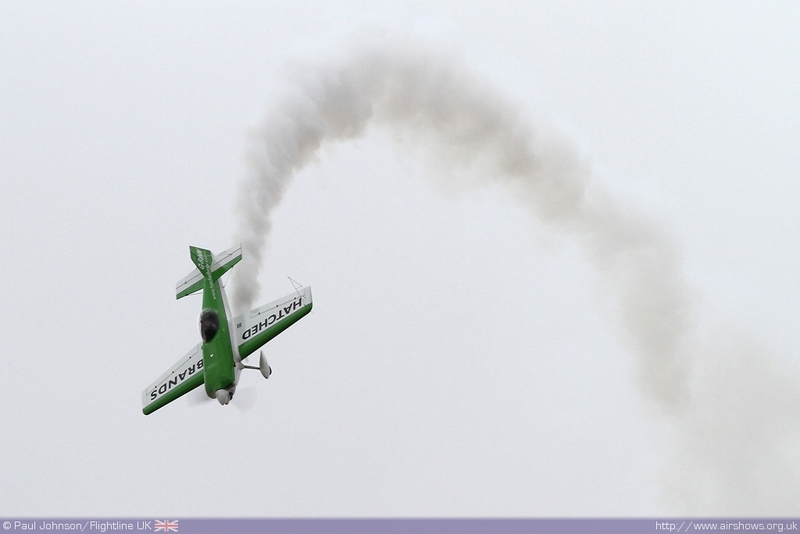 The rest of the flying display consisted of a variety of different acts. 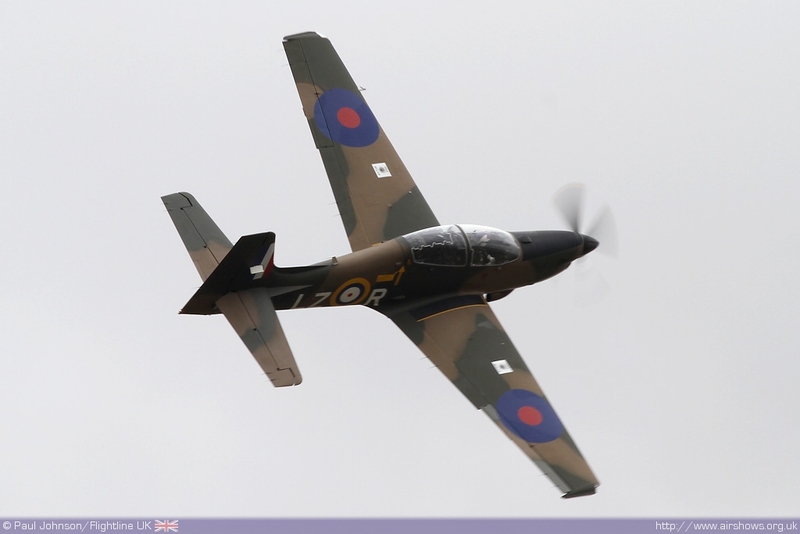 The Royal Air Force supplied five items to the short display. 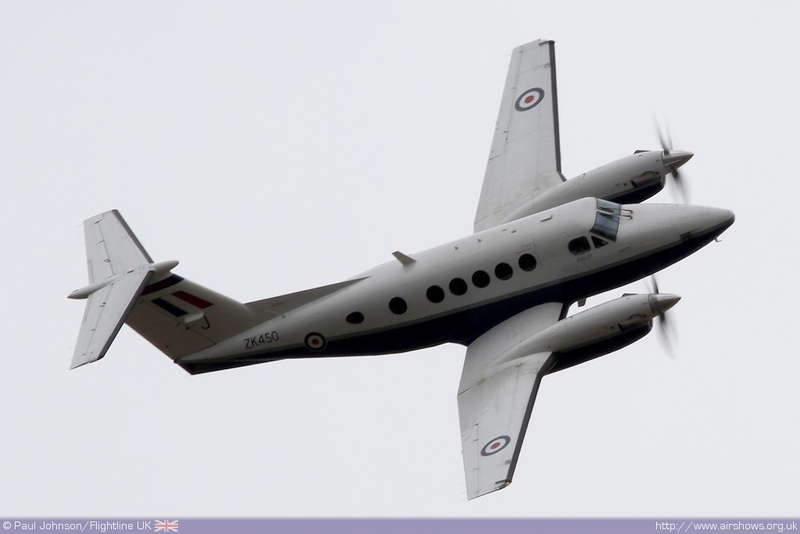 The Tutor T1, Tucano T1 and King Air B200 all gave their usual sharp displays in the grey skies. 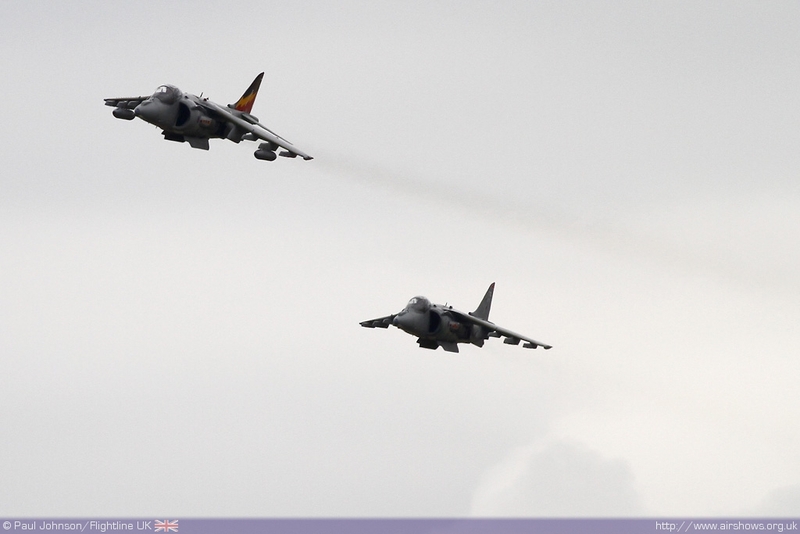 The Battle of Britain Memorial Flight's Lancaster B1 also gave a series of flypasts while there was an all too breif appearance by a pair of Harrier GR9s from nearby RAF Wittering on their way to the Sunderland Airshow. 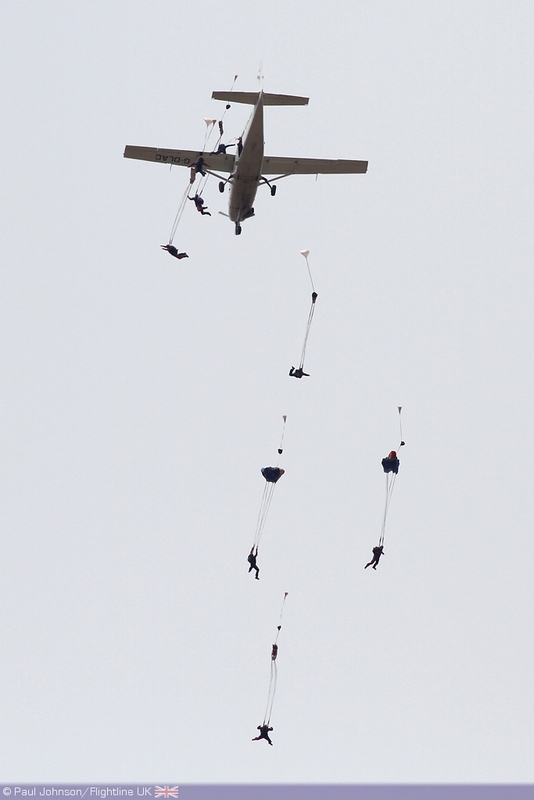 The RAF Falcons Parachute Display Team also dropped in from a Cessna Caravan. 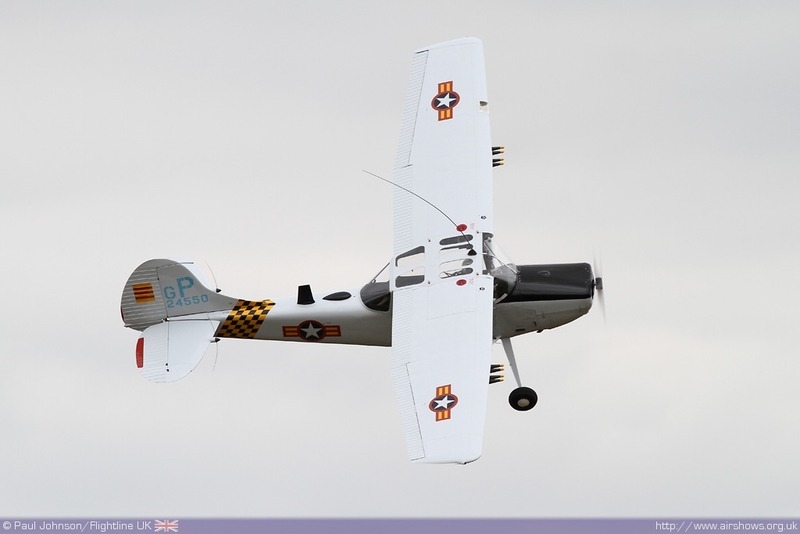 An interesting "warbird" in the main display was Justin Needham's Cessna O-1 Bird Dog. 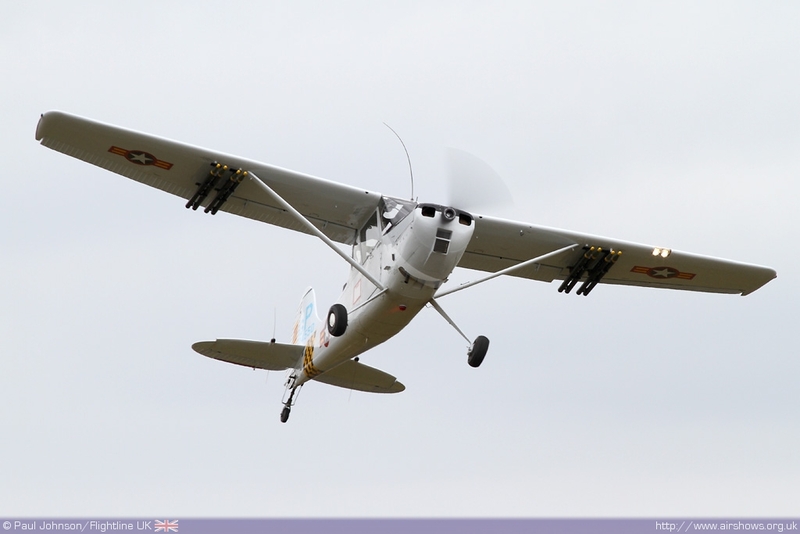 The aircraft was used in the forward air controller role in the Vietnam War by both US forces as well as the South Vietnamese. 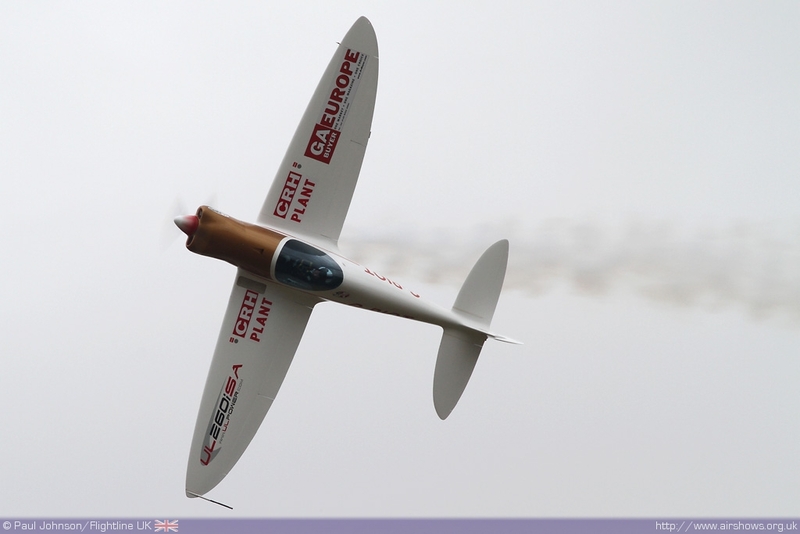 Justin's aircraft features the distinctive "whip" aerial and dummy marker rockets under the wings. 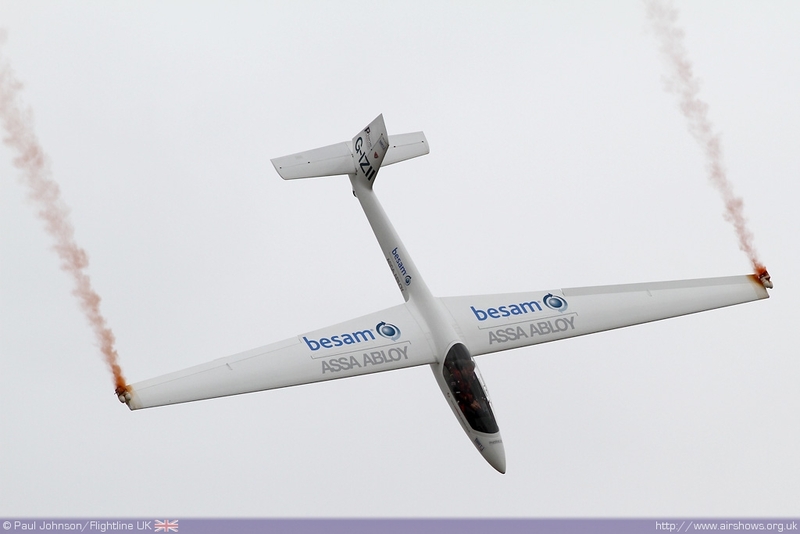 On top of the military flying, there were a number of aerobatic and barnstorming acts. 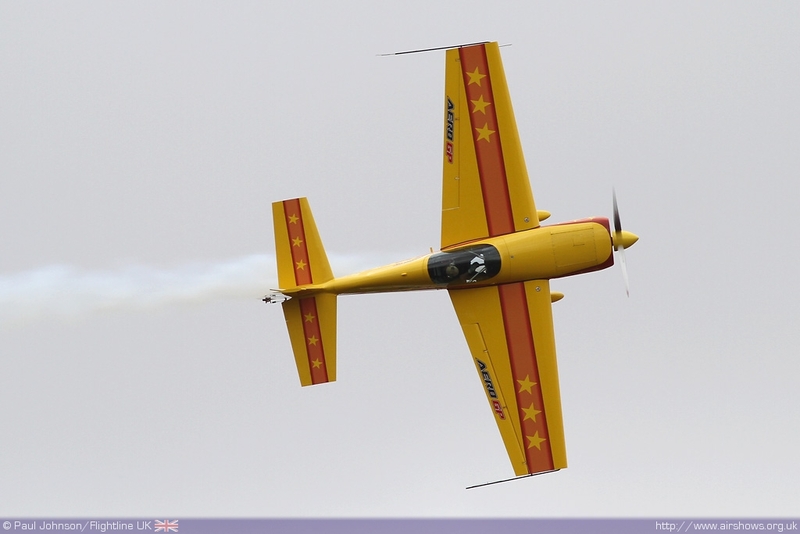 Sgt Phil Burgess displayed his DR107 One Design competition aerobatics aircraft while Steve flew his Extra 260. 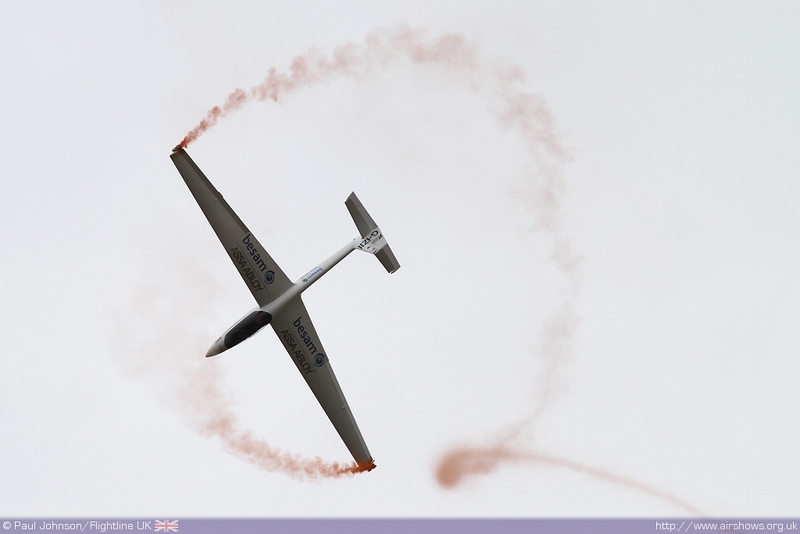 The Swift Aerobatic Display Team also displayed their unique mix of powered and unpowered aerobatics. The short, but enjoyable afternoon flying display was close by Captain Neville's Flying Circus with their fun mix of aerial football, limbo flying and ballon bursting. 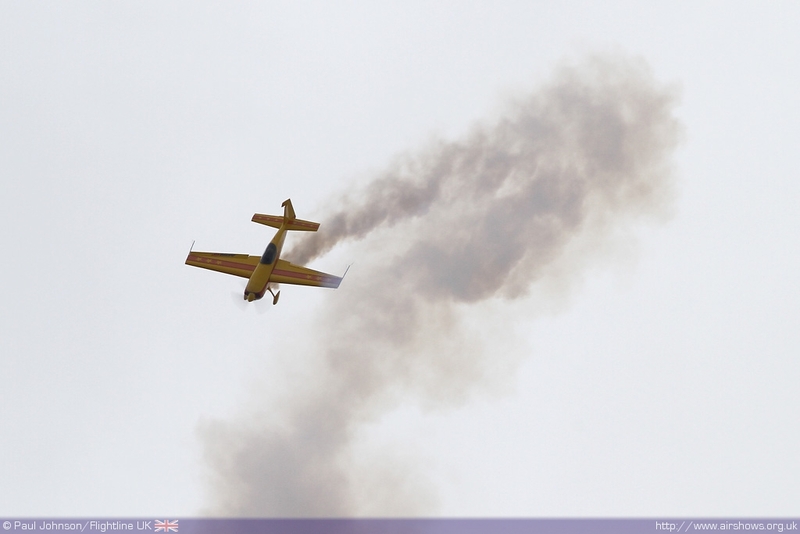 Thanks to the Swift Aerobatic Display Team.